Confirming rumors and suspicions that SpaceX is adjusting its plans to begin dispatching robotic landers to Mars, NASA officials said the commercial space company has informed the agency that it has put its Red Dragon program on the back burner. 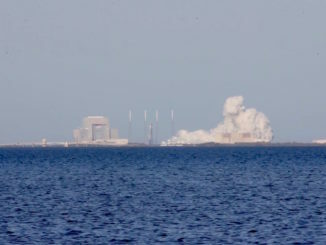 Under the terms of a Space Act Agreement between NASA and SpaceX, the government agreed to provide navigation and communications services for the Red Dragon mission, which originally aimed to deliver an unpiloted lander to Mars in 2018. 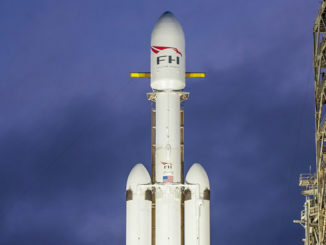 SpaceX confirmed earlier this year the launch of the experimental lander on a Falcon Heavy rocket had slipped to 2020. But Elon Musk, SpaceX’s founder and chief executive, said last month that the company is redesigning its next-generation Dragon capsule, a craft designed to carry astronauts to the International Space Station, to do away with the capability for propulsive, precision helicopter-like landings as originally envisioned. Returning space crews will instead splash down in the ocean under parachutes. 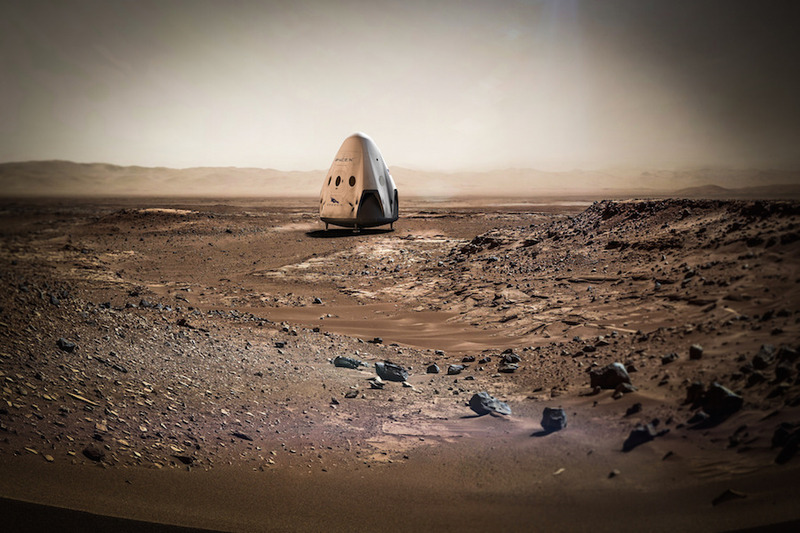 The Red Dragon is a robotic, unoccupied version of the Crew Dragon capsule. The concept publicized by SpaceX called for it to use side-mounted jet packs to slow down in the Martian atmosphere, then brake for a rocket-assisted touchdown. But with that capability removed from the Crew Dragon, outsiders raised questions about the Red Dragon initiative. Musk has not specifically addressed the future of Red Dragon, and a SpaceX spokesperson did not respond to questions on the matter. NASA officials said last year that the agency expected to spend about $32 million to support the Red Dragon program over a four-year period. 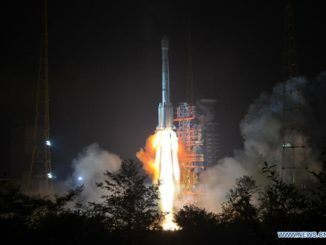 That was expected to be around 10 percent of the total cost of the first Red Dragon mission, one NASA official familiar with the agreement said last year. The Red Dragons would have delivered cargo and experiments to the Martian surface and tested supersonic retro-propulsion in the planet’s rarefied atmosphere for the first time. NASA engineers say a rocket-braking mechanism like the Dragon’s SuperDraco thrusters is needed to safely land heavy supply ships and crew vehicles on Mars. The space agency signed up to support the privately-developed Red Dragon project to gather data on supersonic retro-propulsion officials said NASA would be unable to obtain until at least the late 2020s with a government-managed mission. Musk wrote in a tweet that SpaceX has not abandoned supersonic retro-propulsion at Mars. “Plan is to do powered landings on Mars for sure, but with a vastly bigger ship,” he tweeted last month after the announcement that SpaceX is omitting the propulsive landing capability on the Crew Dragon. Musk said his team at SpaceX is refining how the company could send people to Mars, eventually to settle there. He revealed a Mars transportation architecture in a speech at the 67th International Astronautical Congress in Guadalajara, Mexico, last year, but the outline has since changed. Musk said he will unveil the changes during a presentation in September at this year’s International Astronautical Congress in Adelaide, Australia. Launch opportunities from Earth to Mars come every 26 months or so, when the planets are aligned in their orbits around the sun to allow for a direct interplanetary trip.